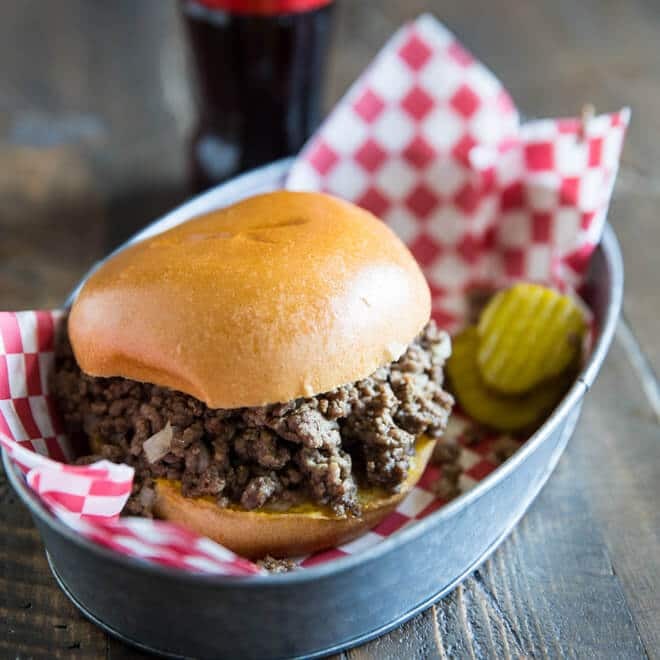 If you’re reading this, then you’ve stumbled upon one of my favorite Sloppy Joe recipes in the whole, wide world. Fragrant spiced lamb simmered with ginger, garlic, and dried fruit is perfect on toasted buns or tucked into a warm pita. Make extra bread—you’ll be sopping up every last drop on the plate. 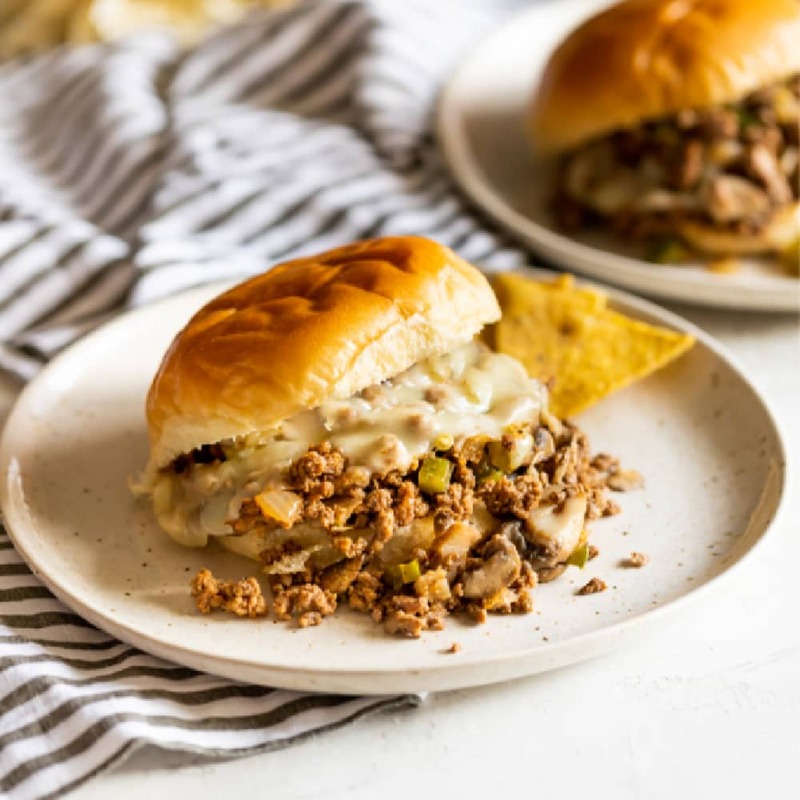 Bright, bold flavors and the perfect balance of savory and sweet is what makes this Sloppy Joe (or should I say Lambwich) recipe so incredible. Inspired by a Moroccan tagine, which slow cooks chunks of meat in a rich mix of herbs and spices, this recipe uses ground lamb to give similar results in a fraction of the time. How long? No more than half an hour of cooking time, once all the ingredients are prepped. The whole house will smell fabulous. Before you know it, neighbors will start knocking on your door wondering what time dinner is served. Thank goodness this recipe makes enough for eight. Making Moroccan Lamb Sloppy Joes for the whole neighborhood? I told you so! Click and slide the number next to “servings” on the recipe card below to adjust the ingredients to match how many you’re feeding—the recipe does the math for you, it’s that easy. First, you sauté the minced shallots, ginger, and garlic in olive oil. If you don’t have shallots, use an onion—it’s totally fine. Then add the spices: coriander, thyme, cayenne, and a pinch of cloves. Currants get added, too. By the way, if you can’t find Zante currants, throw in some raisins, golden raisins, or chopped dried apricots. The dried fruit adds just the right amount of natural sweetness, so you’ll want a little fruit. 3. Next, add the chopped tomatoes. Tomatoes add some acid to the recipe, which helps all the different flavors shine. Sauté the tomatoes for a few minutes until they start to soften. 4. Now it’s time to add the ground lamb. Break any larger clumps up with a wooden spoon until it’s uniform in size. 5. Add chicken stock to the skillet and let the mixture simmer for 5 -10 minutes. The currants will soften, the flavors will mingle, and everything will get delicious while you’re toasting the bread. 6. Chopped cilantro is the finishing touch on the lamb sloppy Joe, but by all means leave it off if you hate cilantro. Brown the lamb on the stovetop. Heat the olive oil in a large frying pan over medium-high heat until shimmering. Add the ground lamb and use a wooden spoon to break the meat into small pieces. Cook, stirring occasionally, until browned and no longer pink, 8 to 10 minutes. Transfer the browned ground lamb to a 4-quart or larger slow cooker. Add the shallots, ginger, garlic, currants, spices, tomatoes, and chicken stock. Stir until well-combined. Slow cook the Sloppy Joes. Cover and cook on the LOW setting low for 4 to 8 hours, or on HIGH setting for 2 to 3 hours. Add the cilantro as a finishing touch, and season to taste with salt and pepper, and serve. Coriander, also known as Chinese parsley, is the seed of the cilantro plant. It resembles little tannish-brown peppercorns, but each seed is ridged and easy to crush with your fingertips. Coriander is slightly spicy and citrusy in flavor, but is used in a very different way than fresh cilantro. Even if you’re on the side of the population that hates the taste of cilantro, you may be okay with coriander. 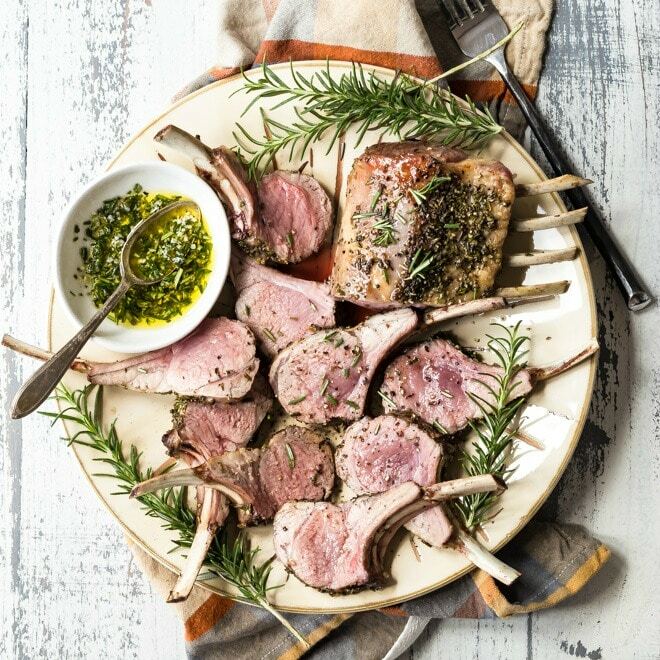 Also, coriander and lamb are best buddies and have been used together for thousands of years. If you’ve ever had lamb burgers, lamb meatballs, or many other Greek lamb recipes, chances are you’ve tasted coriander seed in the recipe. Most well-stocked grocery stores carry coriander seed. If you’re unable to locate it, though, ground cumin is a fabulous substitute. 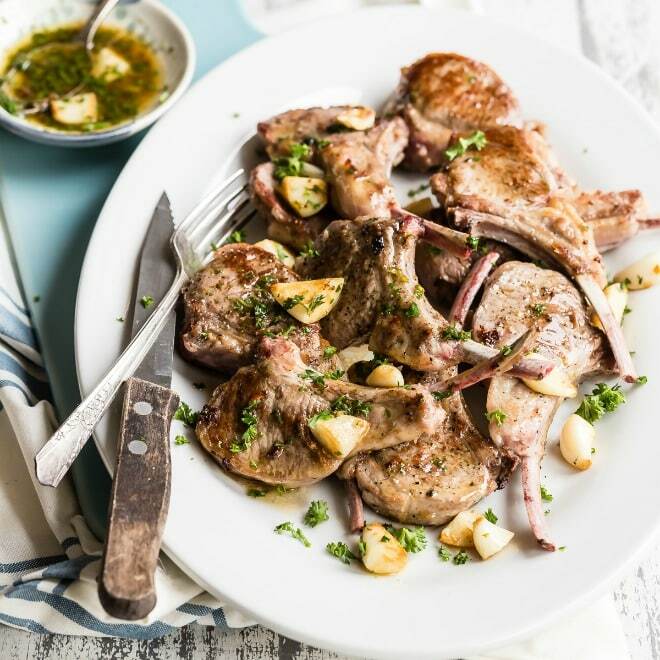 Low carb, no-carb, and Whole30 eaters can still enjoy this recipe with a few bright ideas. 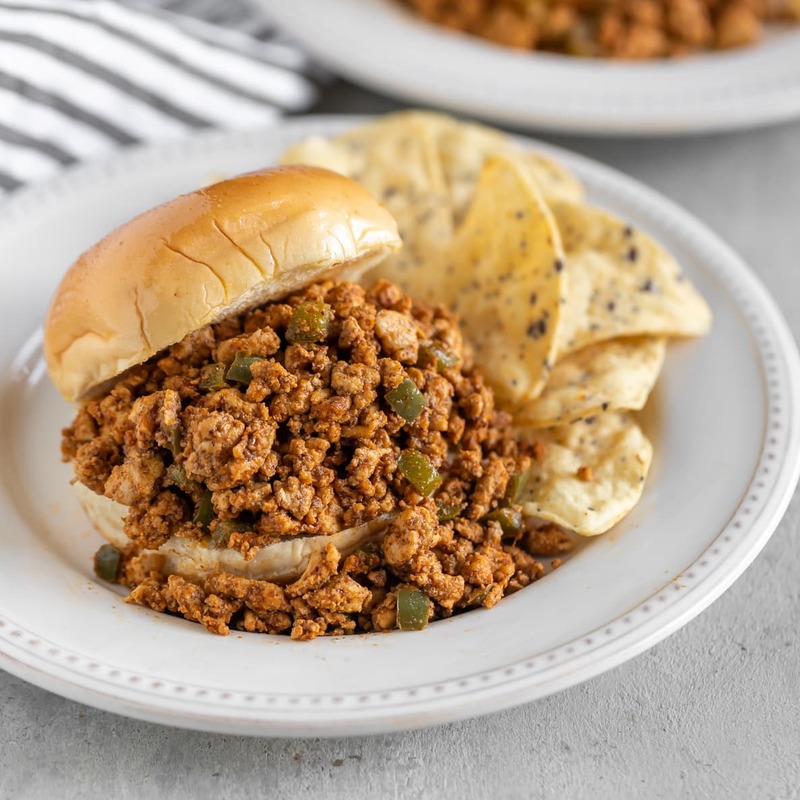 Serve the lamb Sloppy Joes on roasted sweet potato halves. Pile the lamb on top of cooked spaghetti squash. 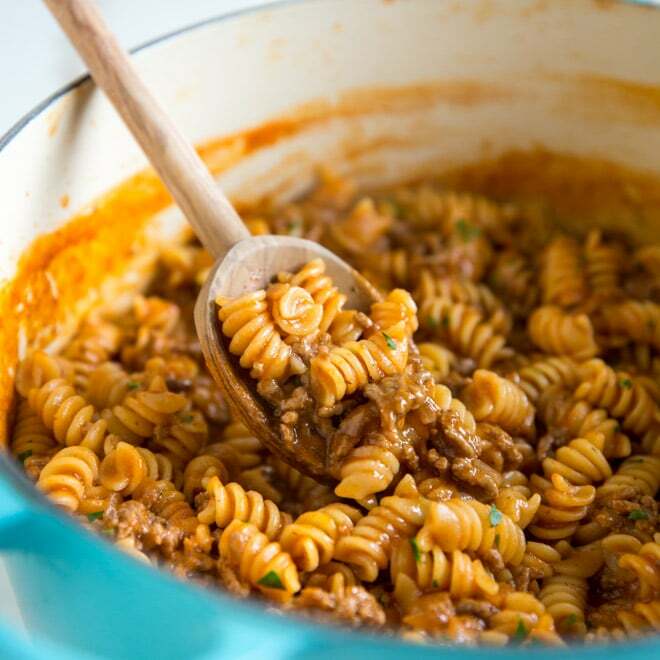 Zucchini noodles, zoodles, or beet noodles are all delicious ways to eat Moroccan Lamb Sloppy Joes. Make a cauliflower rice ‘pilaf’ to serve with the ground lamb. In a large skillet over medium-high heat, heat olive oil until shimmering. Stir in shallots, ginger, and garlic until fragrant, about 30 seconds. Stir in currants, coriander, thyme, cayenne, and cloves and cook for 30 seconds. Add tomatoes cook until softened, about 3 minutes. Add ground lamb and cook until browned, about 5 minutes, breaking up clumps with a wooden spoon. Add chicken stock and continue cooking until no trace of pink remains on the meat, about 5 minutes longer. Stir in the cilantro and season to taste with salt and pepper. Serve on sandwich buns or warm toasted pita. Nutrition information below does not include bun or pita for serving.